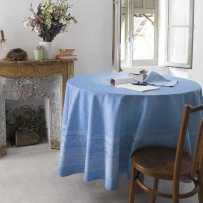 These printed cotton tablecloths of incomparable strength and softness is a pure product of Provencal folklore. 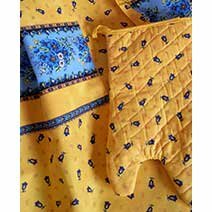 They are made by Marat d'Avignon®, famous textile house since 1948. The table top is simply covered with calissons. 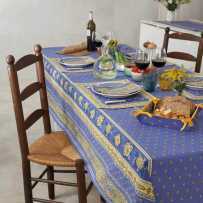 The drop of the tablecloth is decorated with a large final frieze in paisley style. The edge of the marine color is different: it is lined with a band of calissons, then another floral frieze that goes back to the top. All with a mix of navy blue and white. 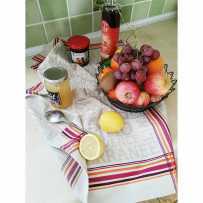 This article is the framed version of the square Bastide tablecloth. It also exists in allover double border, in which only two sides are decorated instead of four. 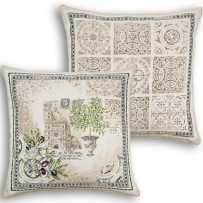 If you like it, Bastide comes in many tableware and kitchen linens. 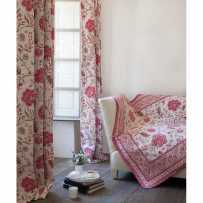 It combines the advantages of printed cotton, lighter than Jacquard woven, with the beauty of a high quality fabric. 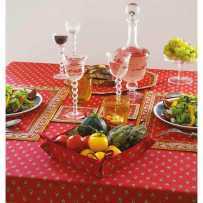 It can therefore meet the needs of both table service and decoration. You will find in our catalog the printed Bastide in all categories: square tablecloths with striped or framed pattern, rectangular tablecloths in several dimensions, mats (in rectangular or octagonal version) and table runners, placemats of different shapes and sizes. 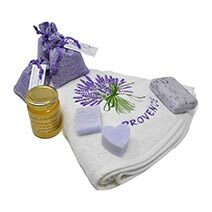 Anti-stain treatment is usually provided when the configuration allows it. 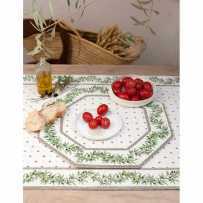 There are also coasters and of course, the essential accessories to this square tablecloth are the matching towels. 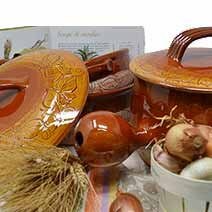 As it is both beautiful and useful, you could perhaps dress it on a dining room table as a decoration, and use placemats to put on during your meals. You can complete with coasters. Thus, you will enjoy your cloth longer while having a minimized maintenance.